Some foods can keep your brain young. Blackberries, blueberries and strawberries all reduce cognitive decline related to age, research finds. All three fruits contain high levels of flavonoids. Flavonoids are powerful antioxidants that can also help reduce inflammation in the brain and body. The research was carried out on data from 121,700 women, who were followed up over decades. “As the U.S. population ages, understanding the health issues facing this group becomes increasingly important. The results showed that high berry intake was linked to a delay in cognitive ageing equivalent to 2.5 years. In other words: berries made their brains work as though they were 2.5 years younger. “We provide the first epidemiologic evidence that berries may slow progression of cognitive decline in elderly women. Berries are also one of the central components in the ‘MIND’ diet, which is linked to a reduced risk of Alzheimer’s disease. Blueberries in particular seem to have a powerful effect on the brain. 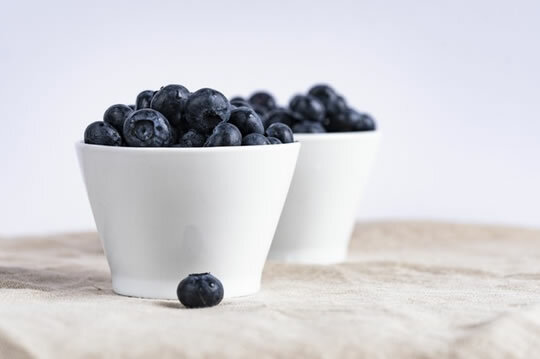 “Concentrated blueberry juice improves cognitive function in older people, new research finds. Those who drank the juice also had better blood flow and activation in their brains as well as improvements to working memory. Strawberries also have other research backing up their protective effects, as do walnuts. The study was published in the journal Annals of Neurology (Devore et al., 2012).